[size="3"] I love video games! hairylegs222 changed some attributes to UPDATED Unofficial Fallout 3 Patch: Description changed. hairylegs222 changed permissions for UPDATED Unofficial Fallout 3 Patch: Author changed their file credits. 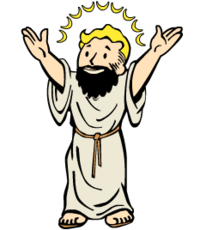 hairylegs222 changed some attributes to UPDATED Unofficial Fallout 3 Patch: Author changed to 'BenWah Hairylegs Roy prisoner416'. ; Description changed. hairylegs222 changed some attributes to Performance Of The Gods: Author changed to 'Tommy aka hairylegs222'. ; Description changed. ; Category changed to Performance.